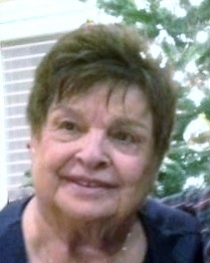 Angie R. (Abate) Robinson, 83, of Methuen passed away Saturday, February 9, 2019 at Cedar View Rehabilitation Center in Methuen. Born in Lawrence, MA, she was the daughter of the late Domenic and Rita (Stabile) Abate. Angie was raised and educated in Lawrence and was a graduate of Lawrence High School, class of 1953. She was a circuit board operator for many years. She loved to go to the beach, travel, watch cooking shows, and mostly enjoyed spending time with her family. Being surrounded by her godson, Michael and his children is what made her most happy. She is survived by her godson and his children, Michael D. Gary of Methuen, Alysa, Aiden, Adam, all of Methuen, Kaylee of Haverhill, and Yeida of Gilford, NH; sister, Dottie Dinicola and her husband, Walter; brother, Anthony Abate and his wife, Mary Beth. She also leaves behind several nieces, nephews, cousins, and extended family. Angie will be sorely missed, but never forgotten by all those who loved and knew her. Relatives and friends are respectfully invited to attend visiting hours on Wednesday, February 13, 2019 from 4:00-7:00 PM at Cataudella Funeral Home, 126 Pleasant Valley Street in Methuen. A memorial service will be held at 6:00 PM in the funeral home chapel. At Angie's request, all in attendance please dress casual.